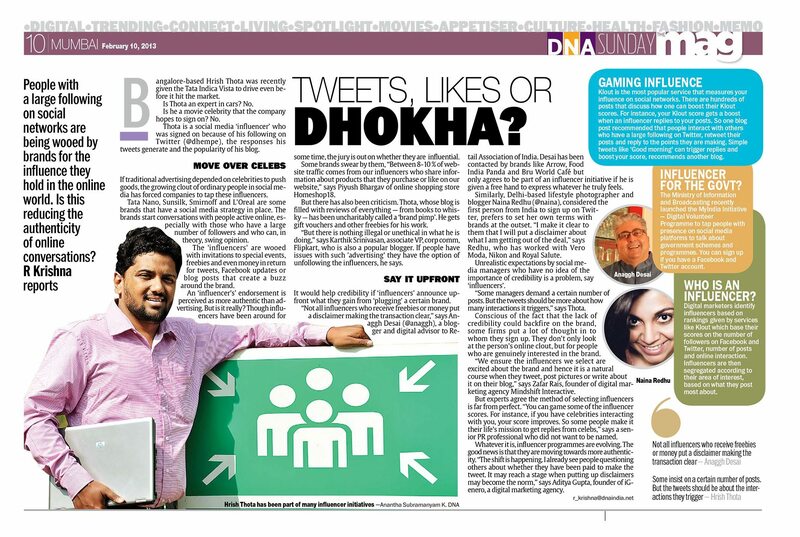 @raokrishna of @DNA was working on a story called “Tweets, Likes or Dhokha” and I was quoted in the story as a social media influencer. The story was published on 10th February, 2013. You can click on the image below to view a larger version that is readable or you can Download a PDF of the page from the DNA Edition. Or you can even view the story on the DNA Website. A nice debate got going on Twitter after the link to the story was posted. Disclosure, paid / unpaid, what good is a social media influencer to a brand anyway, etc. 1. A photography assignment that I was paid for, which I then blogged about – mainly to promote my portfolio. For example the Royal Salute Maharaja of Jodhpur Diamond Jubilee Cup blog posts. 2. The client gives me a returnable / non-returnable product of value to review, I review it and write a blog post regardless of whether it’s a positive / negative review. For example the Adobe CS 6 blog posts. I am considering creating a category called “Sponsored Content” as well and I then intend to change the “Client Assignments” category to “Photography Assignments”. If 2013 is any indication, there is going to be a lot of both. There’s always going to be stories about things I love, rotten fruits and travel and self-portraits and beautiful things. 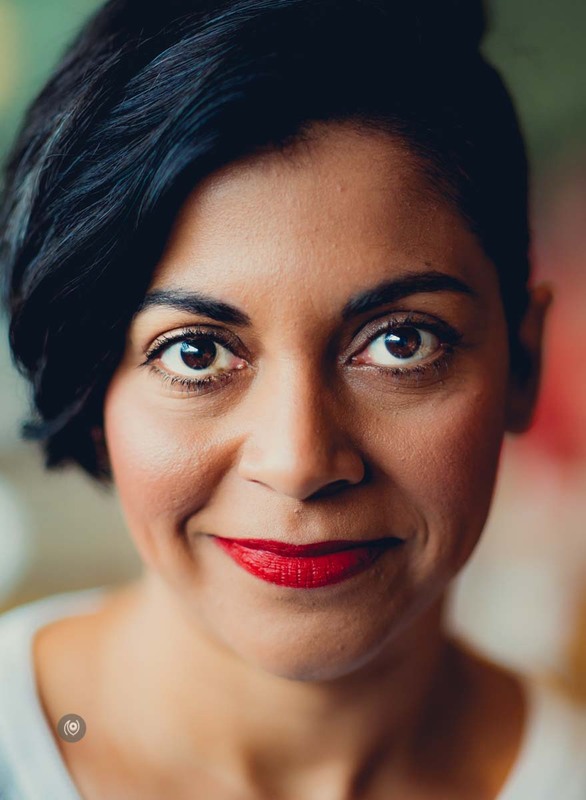 If a brand treats me like an entrepreneur who is bringing more credibility and recall to their products and creates a budget for those activities, it does not mean I will write what they want me to in terms of my opinion – if the product is not built well, social media will only destroy it whether paid or otherwise. 2. The exposure my social media presence provides : via this blog, Twitter, Facebook, Pinterest, etc.